In the spirit of being the biggest and best classic motor racing event in the world, the plan to produce a parade of 911 x 911s was almost immediately exceeded when the celebrations were announced, with registrations building hugely in the months leading up to the event. Records are there to be broken, however, so rather than settling for the initial target, organizers manage to squeeze an incredible 1208 of the Porsches on to a packed circuit – creating a breathtaking sight in the process! 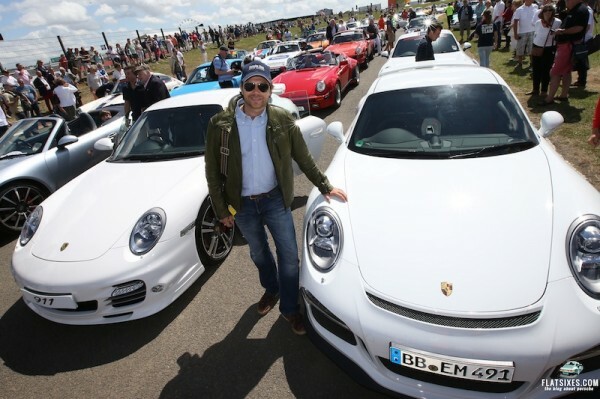 The sensational spectacle, which raised funds for the Hope for Tomorrow cancer charity, was led by a number of famous Porsche legends as tens of thousands of fans watched on. 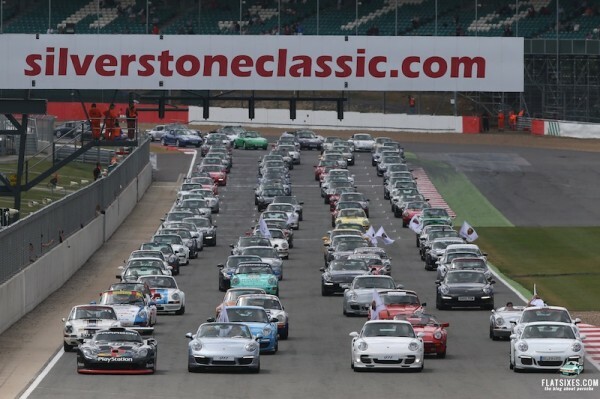 This incredible parade – organized by the Porsche Club GB and Silverstone Classic – included the most famous models from past and present, such as legendary Carrera, RS, RSR, GT, Speedster, Targa and Turbo variants. 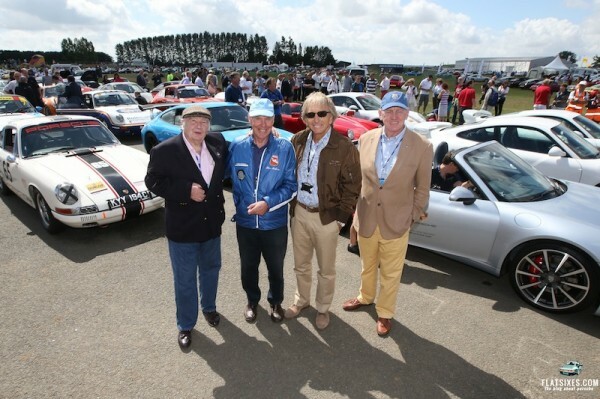 Former F1 driver and five-time Le Mans winner Derek Bell MBE drove a 911 as part of the parade and Richard Attwood – winner of the Le Mans 24 Hours for Porsche in 1970 – was also on hand to pilot another 911. Porsche owners made up the remainder of the wonderful convoy culminating in the remarkable world record number of 911s. Other notable legends taking part in the parade included John Fitzpatrick and David Piper. Since its launch at the Frankfurt Motor Show in 1963, the 911 has been at the heart of the Porsche brand with more than 820,000 having been built in the proceeding five decades – making it the most successful sportscar in the world.